THE NOW — IN THE KNOW WITH ZAHRA! Celebrate St. Patricks Day in NYC at the annual parade on March 16th! 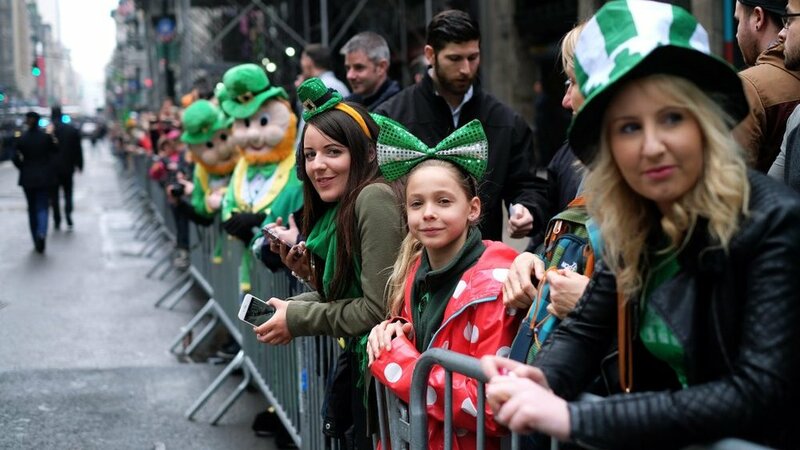 On Saint Patrick’s Day, everybody in New York City “becomes” Irish. This year the parade will take place on March 16. The famous St. Patrick’s Day Parade is one of the oldest parades in New York City and each year more than 700,000 people are part of the spectacle. The parade usually starts at 11 AM on 44th Street and 5th Avenue and then runs north along Central Park, turning east on 86th Street and finally ending on 3rd Avenue. 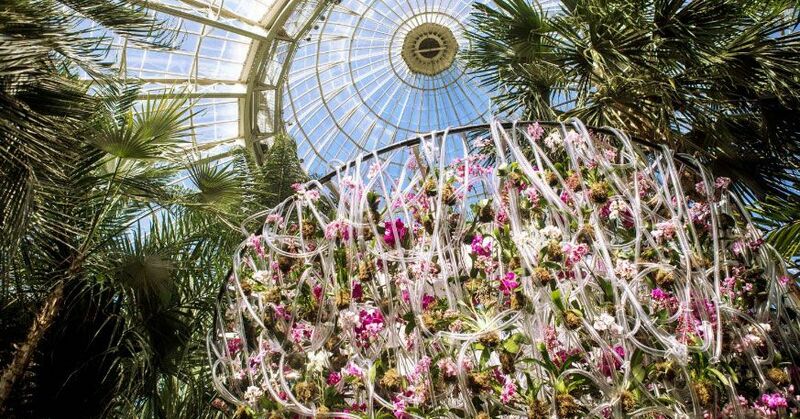 Spring officially starts in March, and one of the things to do in March in New York is to attend the Macy’s Flower Show. The whole department store located at Herald Square becomes a sea of flowers. It’s a pretty cool shopping experience and a reminder that spring is right around the corner so be sure to stop by. Here are some of the hottest NYC restaurants to check out this month! Here Are Some of the Hottest Restaurants to Check Out this March. Courtesy of Eater New York. Leonti Michelin-starred Dovetail is reborn as Leonti, a grand Italian restaurant on the Upper West Side inspired by bistros in Northern Italy. Chef Adam Leonti’s arrival in an NYC kitchen has been long-awaited, coming now with pastas such as cinnamon fettuccine with a wild boar ragu and meaty entrees like milk-braised lamb with tarbais beans and rosemary. The room has been redone with warm wood and white tablecloths, positioned at farther-spaced tables to seat fewer people. Momufuko Noodle Bar Momofuku Noodle Bar is all grown up: The once-subversive David Chang ramen parlor now has a second location. The bad news is that it’s on the third floor of the staid Time Warner Center shopping mall. But the good news is that there are more — and more comfortable — seats and, most importantly, the food is better than ever, with expanded appetizers and barley ramen instead of the wheat variety used downtown. There’s also Chang’s spit-fired meat stall Bāng Bar next door, slinging Korean flatbreads stuffed with meats such as spicy gochujang-marinated pork shoulder for breakfast and lunch. Il Divo This posh addition to the Upper East Side comes from Milan restaurateurs known for catering to the fashion set. A former Il Mulino chef is making Italian dishes such as traditional spaghetti pomodoro to the more creative ravioli with ricotta, lemon zest, and branzino in a seafood sauce. The intimate, 50-seat room is full of antique wooden pieces, curtains and striped wallpaper courtesy of Ralph Lauren, plus countless framed photos of Rudolph Valentino, the restaurant’s inspiration. Intersect Is Intersect a future model for restaurateurs? The Meatpacking District restaurant is run by hospitality titan Danny Meyer but owned by carmaker Lexus. Every six months, a big-name chef creates a new menu that Meyer’s Union Square Hospitality Group executes, and first up is Gregory Marchand, the guy behind acclaimed neo-bistros Frenchie in Paris and London. Dishes right now include foie gras terrine, gnocchi with sweetbreads and mushrooms, and monkfish with celery root, coffee sabayon, and black garlic. There’s a counter-service cafe, too. Despite being backed by a major brand, the restaurant has been packed. GupShup Modern Indian food in an opulent space encapsulates Gupshup, a new Gramercy restaurant from relocated Indian chef Gurpreet Singh. Fusion dishes — such as an Indian take on ramen with a tomato rasam broth and mushrooms or roasted bone marrow with five-spice naan — are set alongside colorful murals, gold accents, and several chandeliers. Owner Jimmy Rizvi’s goal is to create a highly stylish and happening atmosphere, with live music, DJ’s, and other performances. Niche Niche The team behind Greenwich Village hit Tokyo Record Bar has expanded with another experiential restaurant, this one in Soho and modeled after a dinner party. 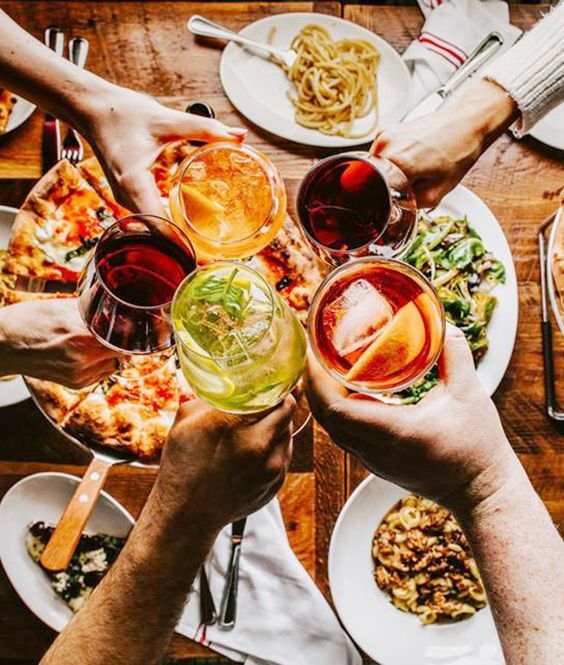 Owner Ariel Arce has recruited all her sommelier and winemaker friends — from places like Frenchette, Eleven Madison Park, and Charlie Bird — to come up with different themes and wines each night for $40 per person. Food is made to match for another $40 in the homey, 25-seat space. 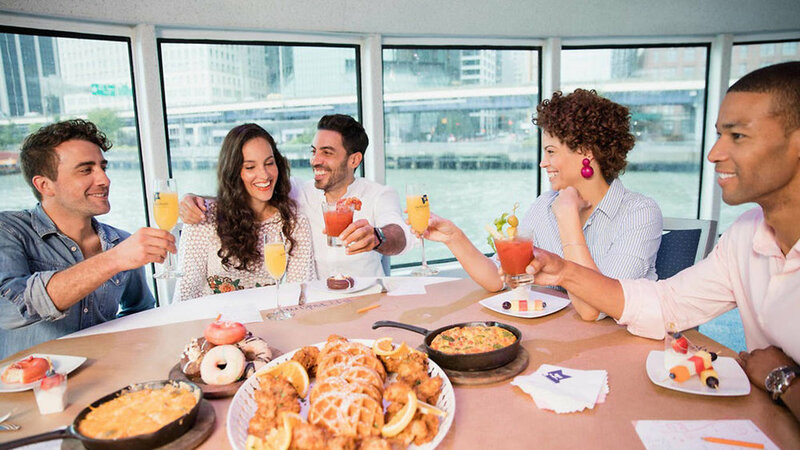 Just like at a dinner party, diners are encouraged to mingle and make friends. Don’t miss the dog wallpaper-lined bathroom. Madame Vo BBQ Yen Vo and Jimmy Ly, the pho specialists at Madame Vo, have added barbecue to their repertoire at this colorful new addition to the East Village. Tabletop grills, like the kind found in Korean barbecue, get utilized for Vietnamese-flavored meats and dishes. The idea is to wrap meats such as meatballs and beef tongue in rice paper with a mix of veggies, fruits, and sweet and savory sauces. Other dishes include an oxtail congee or uni with fish sauce butter, accompanied by beer, wine, and sake cocktails. It’s a festive, rowdy place for groups. TabeTomo Ramen-obsessed New York for some reason hasn’t quite yet caught onto the virtues of tsukemen, the style where room-temperature noodles are dipped into ultra-rich broth. But chef Tomotsugu Kubo — an alum of LA noodle sensation Tsujita — makes it the star at his solo venture TabeTomo, a petite East Village restaurant now open. Expect a rich tonkotsu broth, plus thick noodles to dunk into the pork-based soup. Rice bowls and appetizers like kaarage round out the menu. Violet The Emily and Emmy Squared chef’s next spin on pizza is to grill it. At Violet in Alphabet City, Matt Hyland focuses on the Rhode Island style of grilling dough, and then topping it with fontina cheese and various ingredients, ranging from classic tomato sauce to one with winter squash and Sichuan peppercorn. Seafood and pasta rounds out the menu at this place that’s already proving to be extremely popular, especially as a date-night destination. Wayan Jean-Georges Vongerichten’s son Cedric Vongerichten has struck out with his wife Ochi at Wayan, a promising Indonesian-French restaurant in Nolita. The food is inspired by the couple’s connection to Indonesia, where Ochi is from, with dishes served family-style, pulling flavors from the Asian country while using French cooking techniques. Recommended dishes in the Vong-like spaceinclude satays, sambal-laced shrimp, and pandan custard for dessert. Gran Tivoli A very pedigreed team of Australian restaurateurs makes its U.S. debut with the coastal Italian Gran Tivoli. The menu is expansive to appeal to repeat visitors, with 42 dishes running from handmade pastas and risottos to seafood, meats, and vegetables. The large, wood-filled space feels like a modern brasserie, while downstairs is a bar called Peppi’s Cellar, full of romantic wine cellar vibes and accompanying snacks. Au Cheval One of Chicago’s most renowned restaurants — and its hugely popular burger — has touched down in Tribeca, drawing long lines of burger obsessives. Au Chevalis known for its simple, classic American-style patty, served alongside a menu of other modern diner dishes such as duck heart hash and chilaquiles. The place is already slammed, though it’s a bit easier to slip into during the day, especially when the coffee shop up front, Sawada, is open. Soon, a downstairs bar will open to accommodate overspill. Niche Celebrated ramen chef Shigetoshi Nakamura has been making customary ramen at his eponymous Lower East Side restaurant now for three years, but at Niche he’s breaking the rules. Brothless ramen, or mazemen, pulls flavors from local traditions, like one with smoked salmon inspired by Russ & Daughters. Another features fire-grilled steak as an ode to New Yorkers’ love for steakhouses and barbecue. There are just 14 seats at this small restaurant.